The world is full of wonderful creatures that possess unique and amazing qualities. A golden eagle can spot a rabbit from a mile away. The cheetah can reach speeds of 70 miles per hour, and so on. Cats are special creatures in their own right. True, they are attention seekers, and they really make pet owners work for their love and affection, but they also have fantastic personalities and quirky traits. Those who have been cat owners for years will claim to know everything about their pet. Now, for the most part this may be true, but there are certain facts about cats that even the most veteran pet owners aren’t aware of, and will no doubt be surprised to learn. In today’s post we have put together a list of some unbelievably interesting facts about cats. 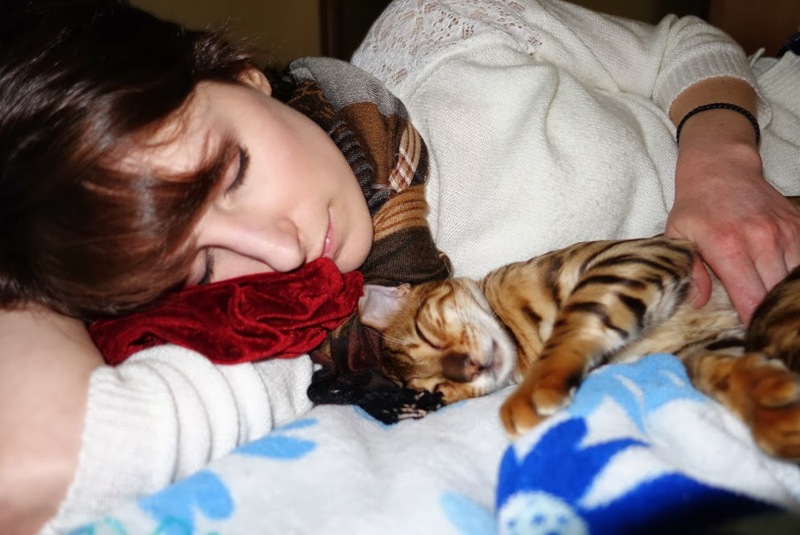 You’ll be surprised what the tiny pet you snuggle with every now and then can do. Sea water is toxic. It is a well-known fact that even if you are desperately dehydrated, you shouldn’t drink sea water because it will cause serious illness; it could even prove to be fatal. Cats however, can drink sea water without the same adverse effects experienced by humans. Yes, provided they have no other option, a cat can survive on sea water. For an animal that lacks a nose, using other ways to sense smell is understandable. But cats are unique because as well as having a nose to smell with, they also use their feet to detect smells. Cats’ paws also contain scent glands which mix with the sweat from their paws to mark their territory. Here is a very odd behaviour. You’ve probably observed your cat being fussy with pet supplies, but they can be even pickier when it comes to water. Put food or treats next to your cat’s bowl of water and you will find that the cat will not touch the water bowl, but it will eat the food. It turns out this odd behaviour is part of a cat’s defence mechanism. They don’t mess with the water that is sitting next to their food because they instinctively think it’s contaminated. This is why you have to feed them first and wait until 20 or 30 minutes have passed, then you can put water or milk in front of them. Putting food and water side by side will not work. We love this one! People always wonder how a cat can determine whether or not it can squeeze in a tight spot or go through a particular opening. You could even be fooled into thinking that they are using their brain to calculate it. The truth is much simpler than that though. A cat’s whiskers are as wide as the cat itself. They rely on their whiskers to act as a measuring ruler which helps them determine whether or not they can fit through a particular opening or in confined space. The whiskers grow to the same length as the widest part of the cat’s body, usually the shoulders or its face. While trying to attempt to enter a small opening, if their whiskers bend, move or touch the exterior parts of opening, the cat knows it won’t fit. This truly remarkable measuring mechanism is present in all cats. Though we’re not too sure how the researchers came up with this one, the science behind this amazing fact is sound. Cats can land safely after falling from a 32-storey building without having to defy, bend or break the laws of physics in any way. Of all the facts about cats, people have the hardest time believing this one, but it’s true. Cats have a very keen science of direction, and when they are falling, they can get their body in the upright position effortlessly. This allows them to land on all four legs, distributing the impact evenly. Furthermore, they flex their legs instantly on impact which allows them to absorb the fall and prevents the legs from breaking or suffering any severe damage. It is an unbelievable feature; one that is unique to the feline population. We hope you enjoyed these amazing facts about cats. There’s plenty more to learn about these amazing pets though, and there is far more to them than the odd cuddle or a penchant for pet accessories. So appreciate your cat for the marvel it is.